Doniqueca Cooke, known as Niiqua, was struck and killed by Irene Lee, 56, on June 30, police said. CORONA — Relatives of a 21-year-old woman who was killed by a hit-run driver behind the wheel of a Porsche last week are asking the public to help pay for funeral costs, according to an online fundraiser launched Wednesday. Doniqueca Cooke, known as Niiqua, was a block away from her Queens home when she was struck and killed by Irene Lee, 56, at 6:30 p.m. June 30, according to police and the fundraiser. 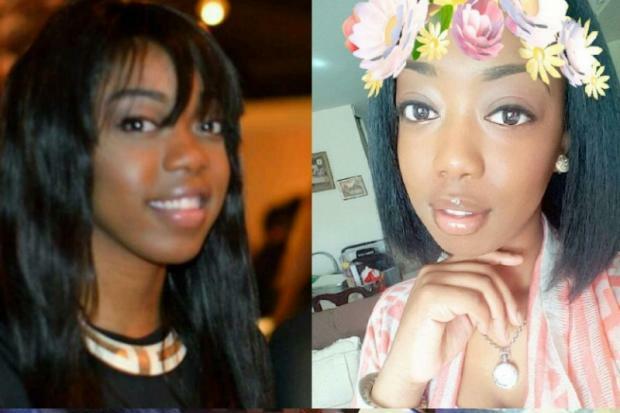 Cooke, who was pronounced dead at Elmhurst Hospital, was remembered by friends and relatives as "beautiful, loving and bright" and was studying to be an occupational therapist at York College. "With a heavy heart we the family and friends of Doniqueca Cooke are seeking your assistance in obtaining funds to cover the cost of her funeral and burial expenses," organizers wrote on the GoFundMe page. "With her untimely death, the family is left not only emotionally devastated, but financially unprepared to cover the cost of funeral and burial expenses." The fundraiser had taken in more than $500 towards its $15,000 goal by Thursday afternoon. Lee was speeding westbound behind the wheel of her black Porsche Cayenne along the service road to the Horace Harding Expressway when she jumped the curb, and crashed into Cooke and then hit a female bicyclist, police said. Lee, from Forest Hills, hit two more cars before crashing to a halt, then got out and fled the scene on foot, police said. She later turned herself in to police and was charged with three counts of leaving the scene of an accident, resulting in death, according to the DA's office. She was released on $200,000 bail July 2 and is due back in court July 14, according to court records. To donate, visit the online site.